SHOVEL READY LOTS AVAILABLE IN LIBERTY EXECUTIVE PARK, NORTH LIBERTY. HIGH VISIBILITY FROM I-380. TIF INCENTIVES AVAILABLE FROM THE CITY OF NORTH LIBERTY. 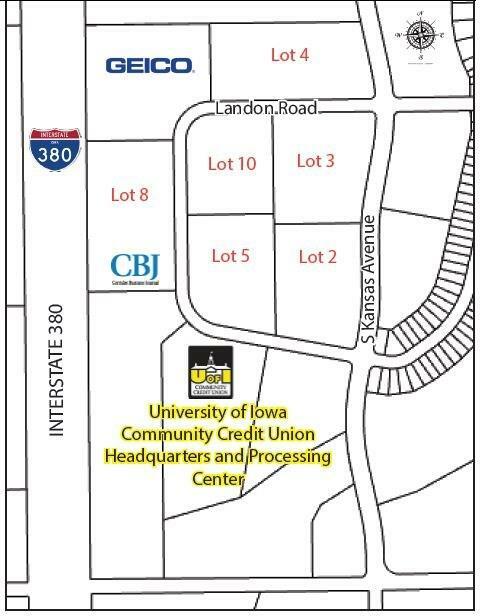 THE NEW UNIVERSITY OF IOWA COMMUNITY CREDIT UNION CORPORATE HEADQUARTERS AND PROCESSING CENTER ARE LOCATED ADJACENT TO THE AVAILABLE LOTS AT THIS SITE.